Kayaking isn’t just about seeing gorgeous views and exploring the great outdoors. As an added bonus, it also boasts many health benefits. This is pretty awesome, especially since most of the fun things in life aren’t exactly good for you. When it comes to kayaking, however, the tables are turned. The more you do it, the healthier and stronger you’ll be. What could be better? If you’re wondering what the health benefits of kayaking are, we’ve listed the top four benefits below. Read them, appreciate them, and then grab your paddle. You know, for your health. Anyone whose spends a day kayaking knows and loves that exhausted feeling it gives you. Your arms and legs are pleasantly sore and you fall into a deep sleep the second your head hits the pillow That’s because kayaking elevates your cardiovascular system and uses several major muscle groups, giving you the ultimate full body workout. If you’re new to kayaking, you may only be able to go short distances, due to how much strength it requires. The more you do it, however, the stronger you’ll become, and the farther you’ll be able to go. How’s that for motivation? Health is about more than your physical body. It’s also about your mind. Studies have shown that stress and anxiety have a negative effect on your health and well-being. They can even causing problems such as ulcers or depression. One cure for this is kayaking. The physical act of paddling releases endorphins, which can improve your mood. Meanwhile the opportunity to unplug and connect with nature offers a kind of mental relaxation. In our busy, over-scheduled lives this is a welcome change! Kayaking can help you lose weight. It happens—as we get older, our metabolism slows down. Suddenly, the habits we’ve always had aren’t enough, and we begin to pack on extra pounds. Lucky for us, kayaking burns about 400 calories per hour. Not only that, it’s also a low impact activity, which makes it a great option for people who don’t like to or physically can’t run. Plus you get to be outside, enjoying the natural beauty of your surroundings, instead of locked in a gym, sweating under fluorescent lights. Not bad. Kayaking can help you make friends. Kayaking is one of the few sports that is truly inclusive to people of all fitness levels, no matter how much experience they have. 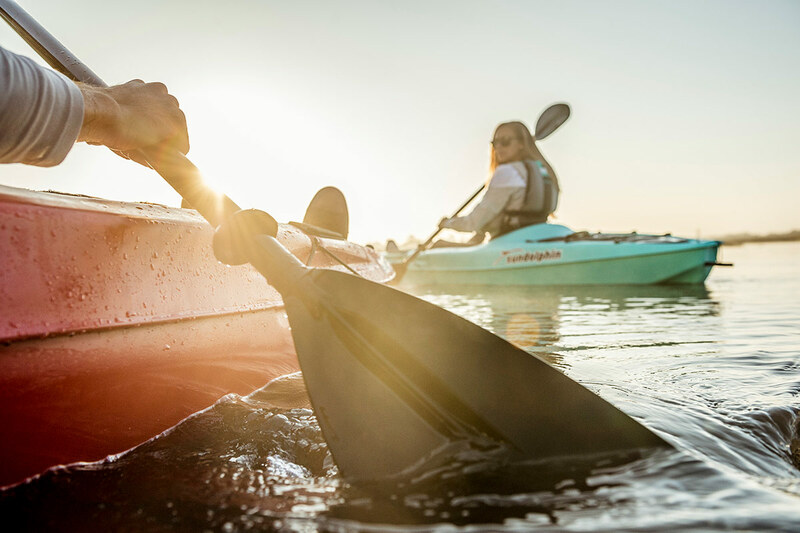 Finding a like-minded group to kayak with is a great choice for people who are looking for some new friends, or who have moved to a new place. Besides being fit and relaxed, kayakers are also notoriously friendly. Just pull up with a boat and a paddle and you’ll be making friends in no time! We hope this post helps you feel better about your current kayaking habit, or encourages you to pick up a paddle. And remember—after all the great things your kayak has done for your health and well-being, you should return the favor by storing your kayak on a Shore Tee by FootStake. Using our portable and affordable boat rack means your boat will last longer, allowing you to reap the benefits of kayaking for years to come!